Explore the numerous day-trip ideas around Riga: Sigulda (Turaida Lutheran Church & Turaida Castle), Rundāle Palace (in Pilsrundale) and Salaspils Memorial Ensemble (in Salaspils). On the 8th (Sat), enjoy a perfect day by the water at Jurmala Beach. Spend the 13th (Thu) exploring nature at Gauja National Park. Next up on the itinerary: don't miss a visit to Old City Riga (Vecriga), appreciate the history behind Freedom Monument (Brivibas Piemineklis), admire the striking features of House of Blackheads, and steep yourself in history at Latvian Ethnographic Open Air Museum. 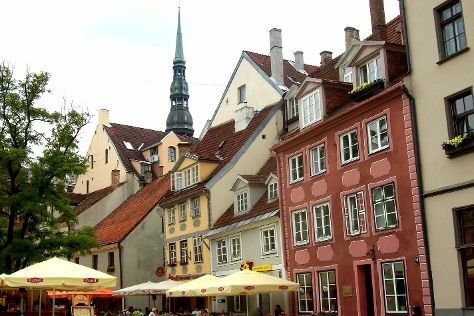 To see more things to do, other places to visit, reviews, and more tourist information, read Riga trip planner. If you are flying in from Egypt, the closest major airport is Riga International Airport. Expect a daytime high around 24°C in June, and nighttime lows around 13°C. Finish your sightseeing early on the 17th (Mon) to allow enough time to travel back home.